Radionuclide imaging involves the use of unsealed sources of radioactivity which are administered in the form of radiopharmaceuticals. The ionizing radiations which accompany the decay of the administered radioactivity can be detected, measured, and imaged with instruments such as gamma cameras and single-photon emission tomography (SPECT) and positron-emission tomography (PET) scanners. 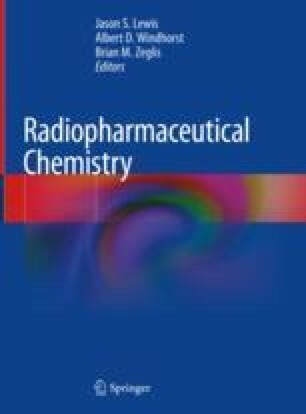 The distinctive and important advantages of radionuclide-based molecular imaging—high detection sensitivity and “image-ability” of non-perturbing doses of radiopharmaceuticals, quantitation, and a vast array of radiopharmaceuticals—ensure that this modality (particularly in combination with computed tomography and magnetic resonance imaging) will remain invaluable in clinical practice and in clinical and preclinical research. This chapter reviews the design and operating principles as well as the capabilities and limitations of instruments used clinically and preclinically for in vivo radionuclide imaging. Otte N. The silicon photomultiplier – a new device for high energy physics, astroparticle physics, industrial and medical applications (0018). SNIC Symposium, 2006, April 3–6. Palo Alto: Stanford University; 2006. www.slac.stanford.edu/econf/C0604032/papers/0018.pdf Accessed 24 May 2018.